Just three of the butterflies to be found at High Beeches. 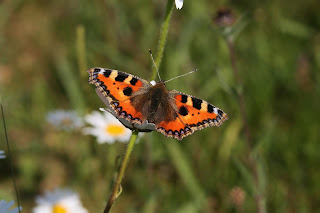 often to be seen on Buddleia and Sedum flowers. The caterpillars feed on nettles. The Silver Washed Fritillary (Argynnis paphia) favours woodland and forest. The caterpillars feed on violas. 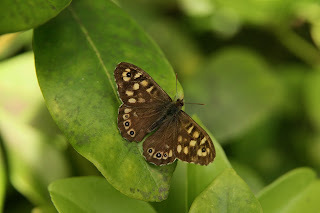 The Speckled Wood (Parage aegeria) prefers shady woodland. The caterpillar is green with a darker strip down the back and feeds on various grasses.